Contemporary Family Home with Panoramic ViewsEnjoy the stunning views looking north from the deck and balconies. Extremely generous in size, this north facing double brick family home spanning across two large levels is perfectly suited to the growing family as well as perfectly positioned towards the end of a neighbourhood friendly cul-de-sac. Boasting seven bedrooms in total, two well appointed kitchens and two fantastic living area's located on separate levels allowing the whole family to comfortably occupy the space. Utilize one of the levels as a parent or teenage retreat with a great sized kitchen expanding onto a spacious, modern entertainer's terrace with panoramic views north to the escarpment. The top level features a generous light and airy lounge room which opens to a full width covered balcony with amazing views. Plush 6m long theatre room, open plan kitchen and dining, well appointed kitchen with Ceasarstone bench tops, glass splashback, stainless steel appliances, breakfast bar and pantry. Four generous bedrooms all with built in robes, sparkling bathroom with corner bath, separate toilet, plus laundry with additional toilet. The lower level consists of large entertaining kitchen, huge breakfast bar with Caesarstone bench top, open plan living which opens onto large terrace, perfect for entertaining. 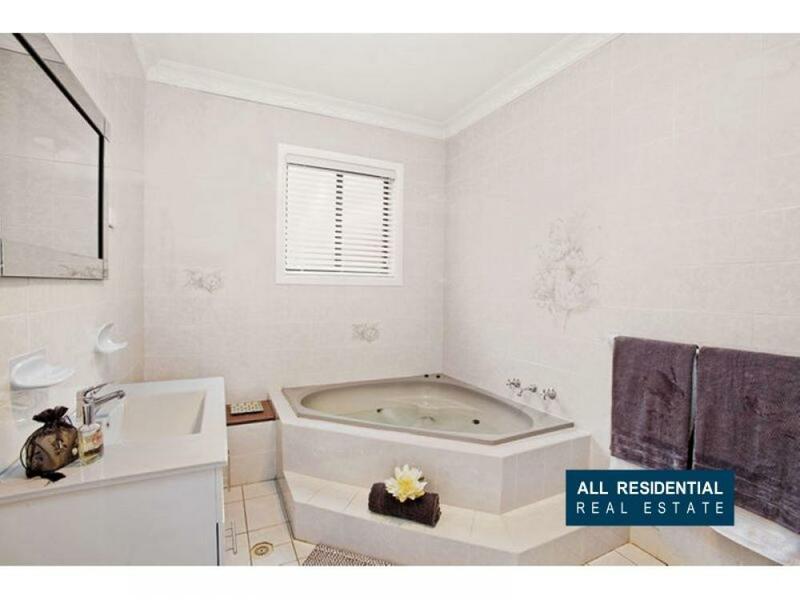 Two large bedrooms, one with ensuite, separate shower and toilet. Added features include a secure three car remote control garage, self contained granny flat with a separate entrance - either use it for your family or rent.